Several times this year, a woman with the intriguing name of Sadie Daiquiri has been the winning bidder at Tampa Bay foreclosure auctions. Daiquiri has an intriguing address, too — 1 Dag Hammarskjold Plaza in New York City. That's a 49-story tower near the United Nations headquarters that houses the permanent missions of France, Italy and several other countries. But it turns out that there is no Sadie Daiquiri in Manhattan, or anywhere else. So it wasn't totally surprising that she defaulted on the bids, failed to pay up and forced the auctions to be rescheduled. Daiquiri is one of three phony bidders whose names have repeatedly popped up at bay area foreclosure auctions — all involving houses linked to a Tampa company called HOA Problem Solutions. By walking away from their bids, they've enabled HOA Problem Solutions to continue to collect thousands of dollars in rent from houses facing foreclosure even while the company is under investigation by Attorney General Pam Bondi's office. "I'm not sure what is taking the AG's office so long, but they seem to be moving at an extremely slow pace,'' Clearwater lawyer Brandon Mullis said. He represents several homeowner associations that have tangled with HOA Problem Solutions over rents, association dues and other issues. In early March, Bondi's office subpoenaed a wide range of company records but little has happened since then. 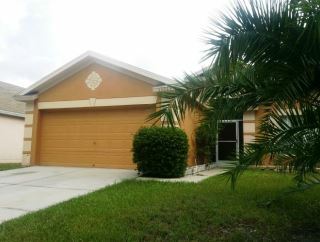 Sadie Daiquiri won a foreclosure auction for this home in Riverview in April but then failed to pay. The owner had deeded the house to HOA Problem Solutions, which is under investigation by Florida Attorney General Pam Bondi’s office. "Our office is aware of ongoing complaints, and they are being actively investigated while we respond to a petition the company has filed challenging our investigative subpoena,'' Kyle Mason, Bondi's press secretary, said. HOA Problem Solutions, which still has an active website, is run by Jimmy Chancey and his uncle Michael Chancey. They did not return calls for comment. Over the past three years, HOA Problem Solutions has gained control of dozens of Tampa Bay houses that face foreclosure because the owners are delinquent on their homeowner association fees. Associations depend on the fees to maintain and upgrade pools, walkways and other common areas. When the owners don't pay, the association can foreclose through a process that allows it to recoup the amount of the delinquent fees. Typically, HOA Problem Solutions pays the homeowner anywhere from a few hundred to a few thousand dollars to deed over the property. Then the company can rent the house back to the owner or find another tenant until the house is set for sale at a foreclosure auction. If the winning bidder doesn't pay up, the sale has to be rescheduled. The association can't recoup the delinquent fees but HOA Problem Solutions can continue collecting rent. Bidding under fake names is relatively easy today because all four bay area counties — Hills­borough, Pinellas, Pasco and Hernando — have moved to online auctions that work like this: A bidder creates an account with a username and password and makes a deposit equal to 5 percent of the anticipated bid amount, payable by electronic check, wire transfer, cashier's check or cash. Winning bidders must pay the balance by 4 p.m. the day of the sale. If they don't pay up, they forfeit the deposit. "Sadie Daiquiri" first surfaced this year in the online auction for a home in Wesley Chapel. The owner, who owed $7,808 in delinquent association dues, had deeded her house to HOA Problem Solutions. On March 7, Daiquiri won with a bid of $7,900 — enough to cover the dues — but failed to pay the balance. Daiquiri forfeited the $395 deposit but HOA Probem Solutions still came out ahead because it was collecting three times as much in rent every month. 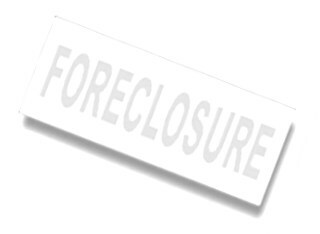 Another foreclosure auction was set for May 11. Daiquiri again was the winning bidder and again walked away. The auction is now set for July 12. After the May auction, Mullis, representing the homeowner association, wrote to attorney Matthew Wolf, who represents HOA Problem Solutions. In Hillsborough County, meanwhile, Daiquiri failed to pay on winning bids in two foreclosure auctions on April 8 — one for a four-bedroom house in Riverview, the other for a five-bedroom house in Tampa. The owners of both houses had signed quit-claim deeds giving control to HOA Problem Solutions. Sadie Daiquiri isn't the only nonexistent person bidding on houses connected to the Tampa company. In January, and again in June, "Tori Bleigh'' of Orlando defaulted on winning bids for a house in Tampa. There is no Tori Bleigh in Orlando or anywhere else in the United States, according to an extensive search of public records. And ''Jeff Stamkos'' of Winners Street in Milwaukee bid on houses in Hillsborough and Pasco, then walked away without paying. There is no Winners Street in Milwaukee or any Jeff Stamkos; however, Tampa Bay Lightning hockey player Steve Stamkos was very much in the news when Jeff Stamkos was bidding. Several years ago, HOA Problem Solution's Michael Chancey was among the first to realize that there was big money to be made in homeowner association foreclosure auctions. Often by bidding just high enough to cover the delinquent dues, a winning bidder could get temporary title to a house and rent it out before the bank foreclosed. But as association auctions became more competitive and the bidding went higher, records show that HOA Problem Solutions began dealing directly with the delinquent homeowners. There was little incentive to bid, say, $10,000 for a house when the company could get a quit-claim deed by paying the homeowner $5,000 or less. In deeding their homes to HOA Problem Solutions, however, some owners later said they didn't realize they also were signing over their rights to any "surplus'' — the difference between the winning bid amount and the amount they owe the association. In one case, the surplus was $60,000 — money that HOA Problem Solutions claims it is entitled to. Three months after the Attorney General's office subpoenaed its lease agreements, HOA Problem Solutions also continues to sign up new tenants. Last week, a man in North Florida told the Times he had paid a security deposit on a house the company was renting out for $1,200 a month. On May 31, the new tenant in a Pasco County house agreed to pay HOA Problem Solutions a total of $3,500 for one month's rent and a security deposit, according to the lease agreement she later turned over to Mullis. That house had been set for auction March 1 but the sale was postponed after the phantom "Jeff Stamkos'' defaulted on his winning bid. Mullis sent the tenant a notice saying she should pay the association directly in the future. Florida law allows homeowner associations to "intercept'' rent from tenants and apply it to the amount of delinquent dues owed on the property. "This at least helps us minimize damages until we are able to secure a new foreclosure sale day and also allows us to keep the money out of the pockets of unscrupulous investors,'' Mullis said. Every time a foreclosure sale is delayed because a bidder like "Jeff Stamkos'' or "Sadie Daiquiri'' defaults, it can take 30 to 45 days to reschedule the auction. That means several more weeks that association fees might go uncollected and HOA Problem Solutions can keep collecting rent. As for Sadie, whoever bid under that name either had some fun with — or couldn't remember — her address. Sometimes, it was listed as 1 Dag Hammarskjold Plaza. Other times it was 1 Dag Hammarschmidt Plaza.